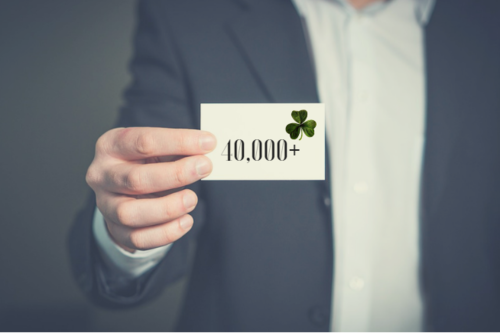 Are you a German Speaker who wants to Earn €40K+ while living in Ireland? Do you hear Ireland’s call? Why not work abroad in Dublin’s fair city! We are looking for someone who is tech savvy, who enjoys the thrill of sales and who when they get knocked down, gets right back up again. If you speak near native German and want to work in Dublin Ireland, in an inside sales job - For this Sales job you can expect to earn between €40,000 - €50,000 OTE so keep reading and don’t forget to APPLY with the link below. This client is a leading provider of marketing intelligence for the technology sector. They have numerous clients who are leading experts in the technology industry and are seeking a German speaking candidate. The role involves contacting IT professionals in different companies in order to try and sell client products. You will work abroad in the Irish capital city of Dublin and our client is looking for a sales driven, motivated individual to join their team of experts! You can look forward to earning between €30000 - €50000. If you have a near native level of German & an excellent level of English & 2-3 years' previous personal assistant experience, then this is the next step for you and your career. A highly recognised & award winning employer is looking for a German speaking Personal Assistant for their board of directors here in Dublin. This is a German job they are looking to fill as soon as possible so ideally, we are looking for you to already be living in Dublin and if not you are able to relocate on short notice at your own expense. You can expect a salary of€40000 - €42000 per annum. For more keep reading & don't forget to apply. German Speaking Account Executive with 4 years' experience in software sales and looking for a company pre IPO? We have a German Account Executive Position in Dublin City ripe for the taking. If you have between 4-5 years' sales experience (Software Sales in Particular) & have a passion for overachieving & smashing targets - this is the Sales Job for you. This client is offering €60000 - €100000 per annum for the right candidate! Do you want to work abroad and earn €38000 - €40000 per annum (+ 40000 OTE)? If you have a mind for sales and find that it's easy to sell or convince others, then perhaps Sales and lead generation is your calling - Check out this German speaking Sales Representative job in Dublin City, where you will be working on cold calling clients but won't have to close deals. All the excitement, none of the headaches. All you need is 6 months' experience in either lead generation or door-to-door sales to join this new office & team here in Dublin. Have you decided where you are going to work abroad in Ireland? We hope this quick-fire list of some of our top multilingual jobs was helpful for you. If you need to peruse your options a bit more then *Click Here* for more German speaking jobs based all over Europe!